Saying the words “First Person Platforming” is, in the majority of cases, a phrase to make one shudder. It’s rarely replied to politely, and, while there have been good games with first person platforming and movement elements, they’re rare enough that, for the most part, they don’t go down well. Not pictured: The fifteen other attempts to get the sub 5 minute star, the buckets of sweat dumped over me, the grunts of EFFORT and the Body English. Also that this is a still of the middle of a series of jumps that take about a second, maybe a second and a half. 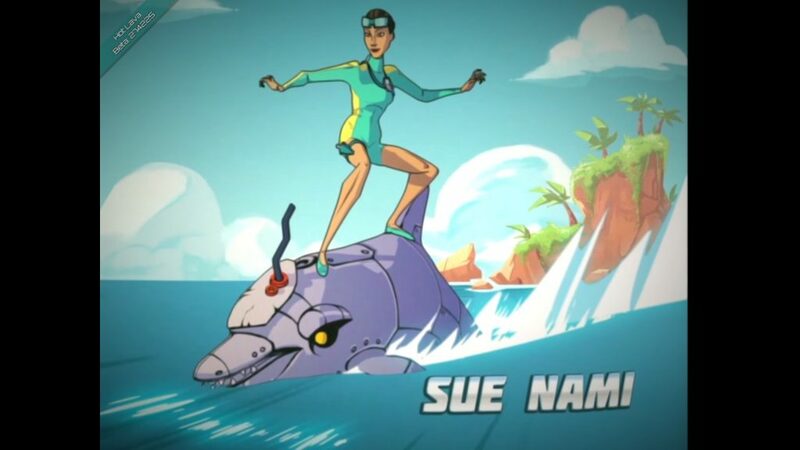 So it’s perhaps a good start for me to say that the most shudderworthy part of Hot Lava, a game that entirely revolves around first person platforming, was its attempt at a Saturday Morning Cartoon theme, and the lampshady humour about SatAm writing. Also the really thin poles, but we’ll get to those. From what I can tell, the story of the game, such as it is, is that you’re a child with a highly active imagination (Who, as in my childhood, seems to be going through an “Imaginary self” phase), who is playing “The Floor Is Lava” , that game where the whole point isn’t to touch the carpet or flooring, because if you do… If you doooo… You’re sooooo dead. Because the floor is lava! 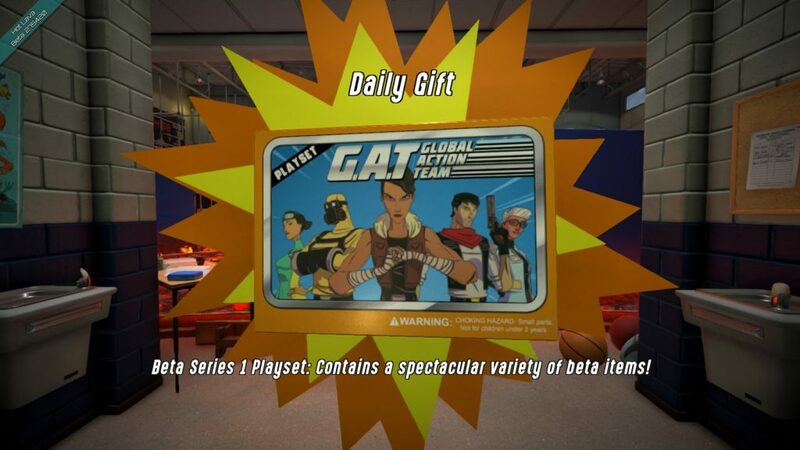 Now add in a score mechanic, collectibles, fake loot boxes bought with in-game currency, character customisation of your Action-Man jointed avatars, time-trial leaderboards, a pogo stick for some challenges, and a whole host of tricks and traps that could conceivably be how a child would imagine the danker and hidden parts of the school (like the ventilation being filled with deadly fans and crusher traps), and you have Hot Lava in its present, Early Access state. Aesthetically and accessiblity wise, insofar as a game about, basically, speedrunning a first person platforming level is pretty good. I never outright failed to notice something I could (in theory) jump to, there’s a checkpoint marker that is, unfortunately, not often all that useful, but it is there, and clear to boot, I had no problems with menu options or colourblindness issues, and things that can be swung from or grappled are highlighted well. The controls are, at their basic level, pretty simple: Tap space to jump, WASD to move, you control your jump mainly by mouse direction, rather than strafing, and you automatically grab anything that you can grab and have successfully reached. Scratch that, I have very unfond memories of playing the latter. In any case, the game, overall, feels alright, and you quickly get into the rhythm, except for the times you’re lost (The game relies on replay, so that’s less of a sin than you’d think), the times the way forward is awkward (Such as in the Ventilation Tunnels Of Crushing and Fanblades) , and… Thin rods that you have to jump on. The first person equivalent of “Pixel perfect platforming”, I despise them so, and am grateful that their somewhat easier to deal with cousin, Thin Rods You Can Jump On And Run Across, don’t have a tightrope or grind balance mechanic to – that is not a suggestion, Klei Entertainment… koff… Just to clarify. Unlike either 80s playsets or loot boxes, the playsets of Hot Lava don’t ask for your blood, soul, money, or grandparents. All you need is to play. Plaaaaay. Plaaaaaaaaaaaayyyyyy! 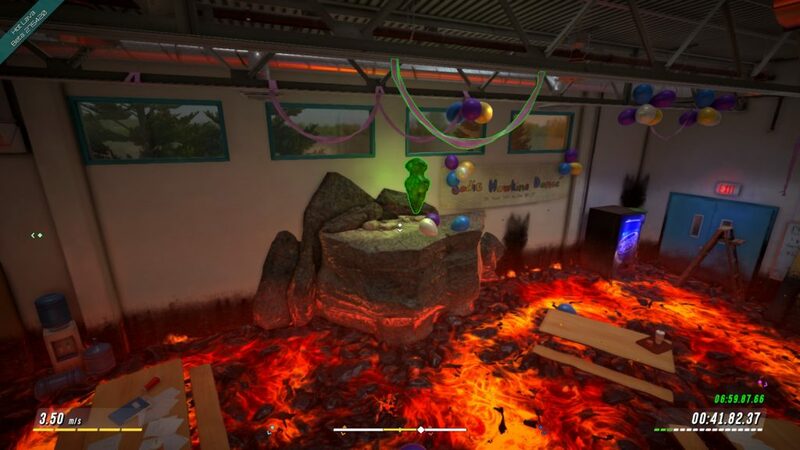 As much as it feels odd to say this, Hot Lava… Looks promising. And this, funnily enough, is why I didn’t delay this review until the second area (Billed for about a week after the review hits) arrived… Because, even at this early stage, it’s oddly fun. With the exception of the SatAm theme… Sorry, folks, I know some SatAm themes were abominable, but that’s no excuse, dammit! 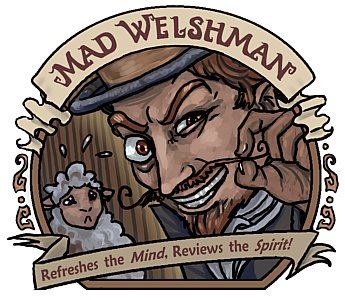 The Mad Welshman, overall, recommends this. The lava has told him it will eat all his favourite socks if he doesn’t. Joke’s on the lava, he likes the game anyway, and never mastered the art of wearing matching pairs.